As expected, 2K Sports pushed out another roster update today. The newest update includes the signing of point guard D.J. 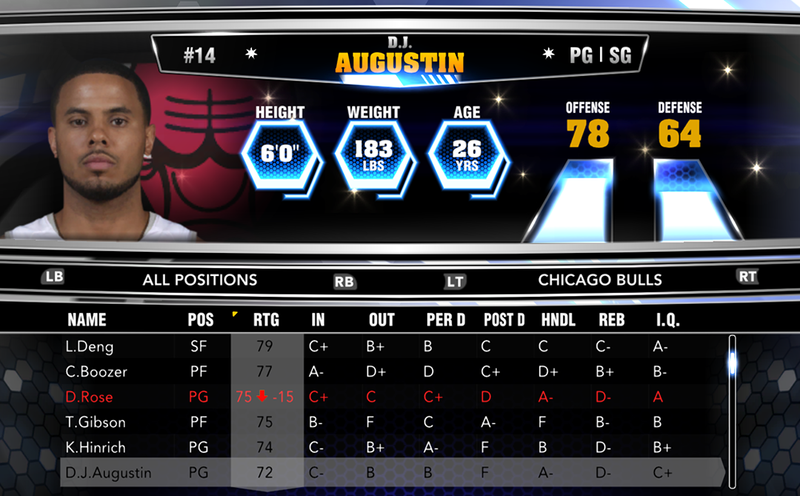 Augustin to the Chicago Bulls and some injury updates. Also, it appears that new shoe files have been added in the Online Data folder. For more information, check out the earlier version of this roster update.